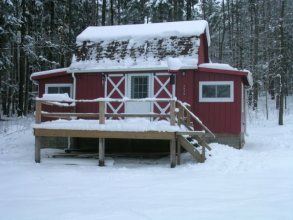 Sweet Little Cottage nestled in the woods just a few miles from CU campus features 1 BR, LR, small Kitchen w/stove & refrig. Small bathroom w/shower & Large Deck. Rent includes snow plowing and lawn mowing!